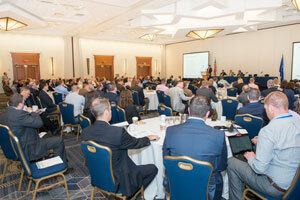 NGA's Annual "Regional Market Trends Forum" is a one-day event that addresses current supply and policy issues impacting the Northeast market. This year's Forum will be held Thursday, April 25, 2019 in Hartford, CT.
And MJ Bradley & Associates with a perspective on improving the environmental footprint of natural gas. Registration is open until April 22 (extended from April 19). You must register in advance to attend; there is no on-site registration. If you have any questions, please contact Steve Leahy of NGA (leahy@northeastgas.org). We hope to see you at our spring 2019 event.